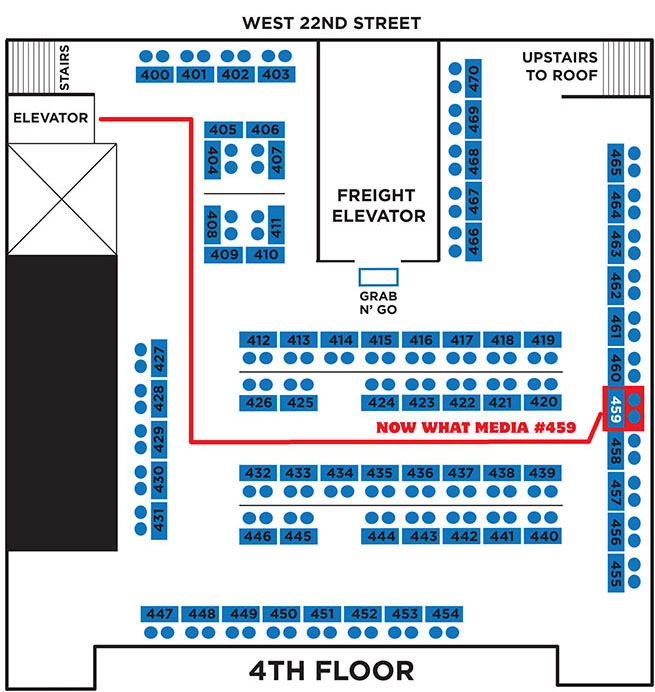 Now What Media table #459 and we had our most successful Fest ever. 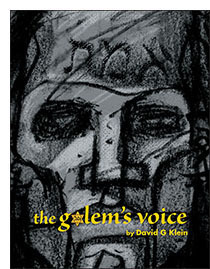 The Golem, a classic creature of Jewish lore, is boldly reimagined by celebrated cartoonist David G Klein. Beautifully drawn and movingly written, this exciting graphic novel resurrects the giant of legend to face the real-world terror of WWII. All-New Adventures by L.K. Peterson! 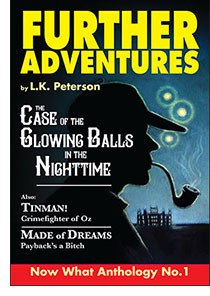 Illustrated by Thomas Kerr, Randy Jones and Martin Kozlowski. 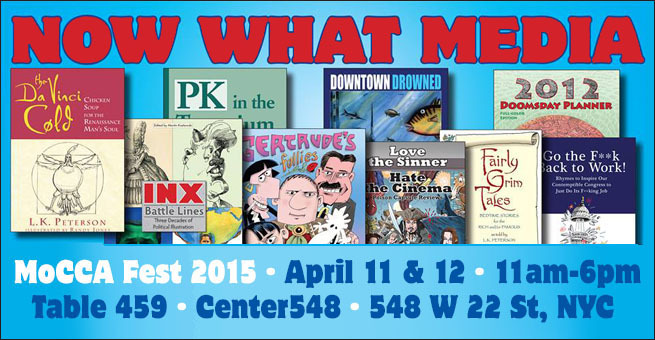 We also featured our collection of Superstorm Sandy Strips entitled Downtown Drowned along with our other humor books and comics collections. Creators David G Klein, L.K. 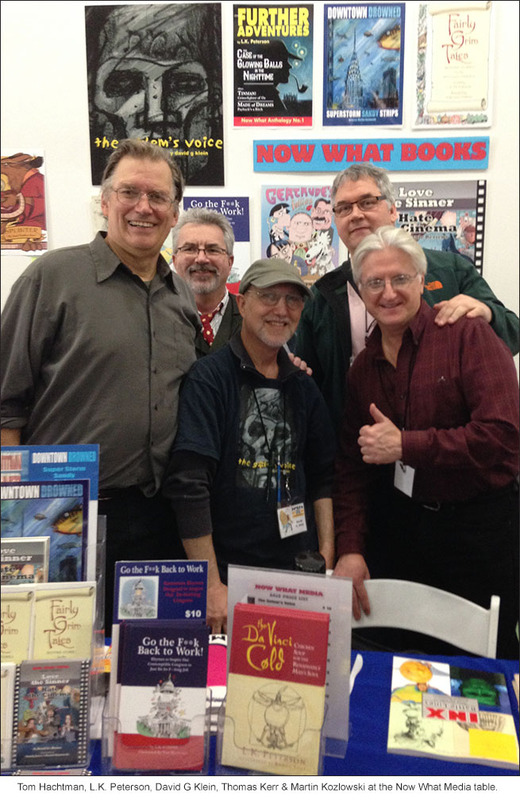 Peterson, Tom Hachtman, Tom Kerr, Susann Ferris Jones and Martin Kozlowski were on hand to sign copies of their books. We chatted with a stream of enthusiastic writers, artists and fans. The location turned out to be pretty great, except for the trudging up and down narrow staircases and the presence of comically intense security personnel who seemed to think they were guarding the crown jewels. Regrettably, it's one and done for this venue in too-hip Chelsea –– the building has been sold to provide what New York so desperately needs more of –– luxury condos. Looking forward to next year –– wherever it might land. Please like our Now What Media Facebook page.